Started in 1852, shuttered in 1972, and resurrected in parts of the same original building in 2008, Potosi Brewing Company offers rich history and many classic craft beers. 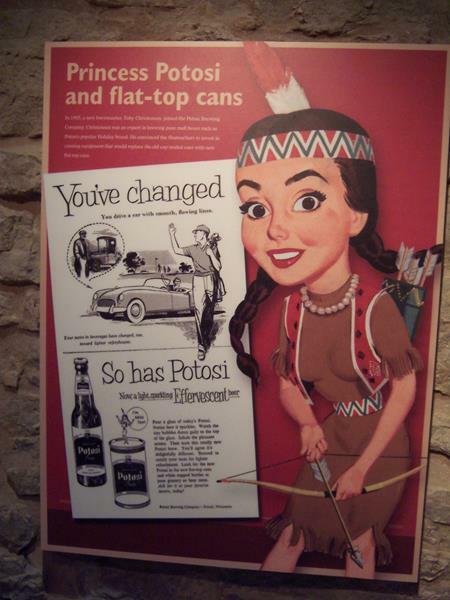 Potosi was actually one of Wisconsin’s five largest breweries and distributed across the nation. 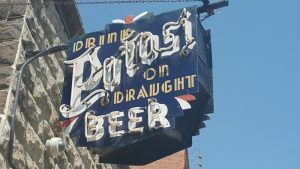 While they weathered Prohibition, changes in the beer industry caused Potosi to close its doors in 1972. The building began to deteriorate and parts of it had to be removed as time wore on. In town, the sad view of the former brewery and its strong legacy inspired the Potosi Foundation to secure the brewery, invest $7.5 million, and re-open the brewery in 2008. 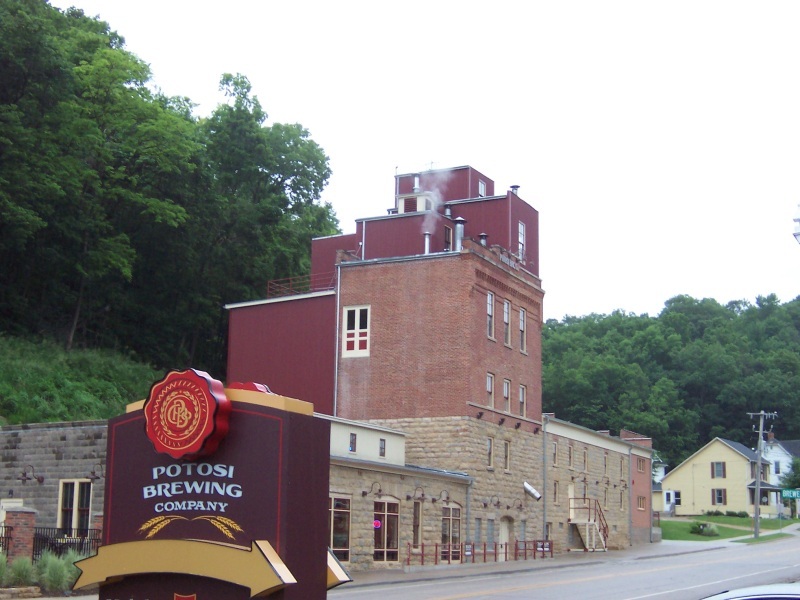 Today, the Potosi Brewing Company’s campus includes the National Brewery Museum™, a brewpub, restaurant, beer garden, gift shop, and Great River Road Interpretive Center. 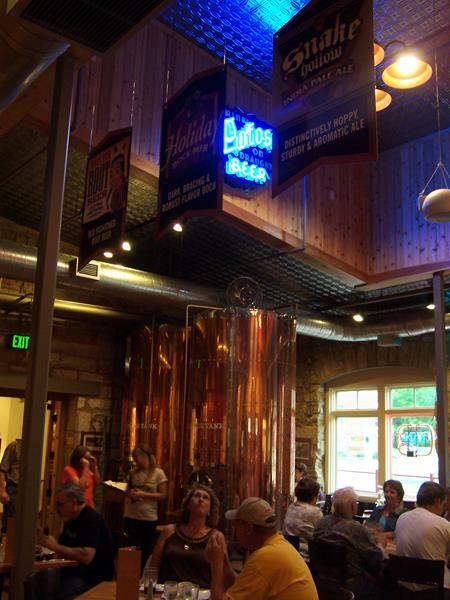 With the re-opening of Potosi Brewing in 2008, flagship beers like “Good Ol’ Potosi” and their Czech-Style Pilsner returned; other primary beers include their Cave Ale Amber Ale, Snake Hollow IPA, and Potosi Light. Seasonal brews include their Steamboat Lemon Shandy, Riverside Radler, Stingy Jack Pumpkin Ale, Oktoberfest, and many more. Special barrel-aged varieties show up at times, too. Stay updated on available beers here! You can also take Brewery Tours of their original and expanded facilities on weekends. Potosi runs tours Saturdays at 1 and 3pm, and Sundays at 1pm. 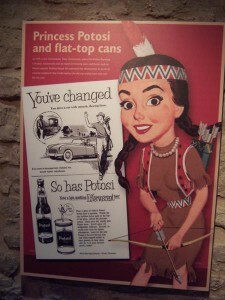 Shortly before re-opening, Potosi scored a huge coup by landing the the National Brewery Museum™. Milwaukee, St. Louis, and Cincinnati were all in the running, yet the tiny town of Potosi (population 700) managed to make their case to the American Breweriana Association and land the museum, drawing beer and brewery fans from across the nation – and the world. 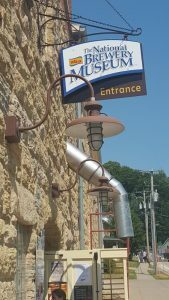 Today, the National Brewery Museum is a joint venture between the Potosi Foundation and the American Breweriana Association. 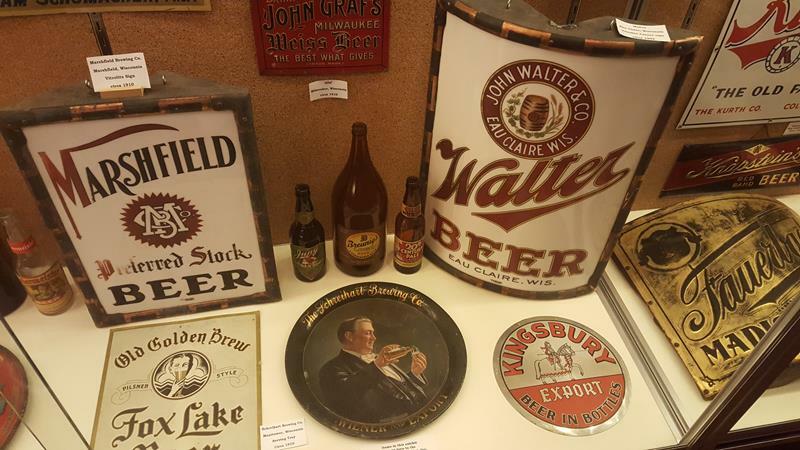 This truly impressive, world-class museum shows off eclectic collections of beer bottles and cans, glasses, trays, coasters, advertising materials, neon signs, and various other breweriana collectibles. The museum covers several floors and has different themed rooms throughout where you can browse to your heart’s content. Its full name is the National Brewery Museum & Research Center, where you can research beer brands and breweries dating back to the earliest records available. They have a library on one of the upper floors. Either way, if you want to learn about the country’s brewing heritage or simply just check out the cool and unique designs on all kinds of items over the years, this is the place to go! 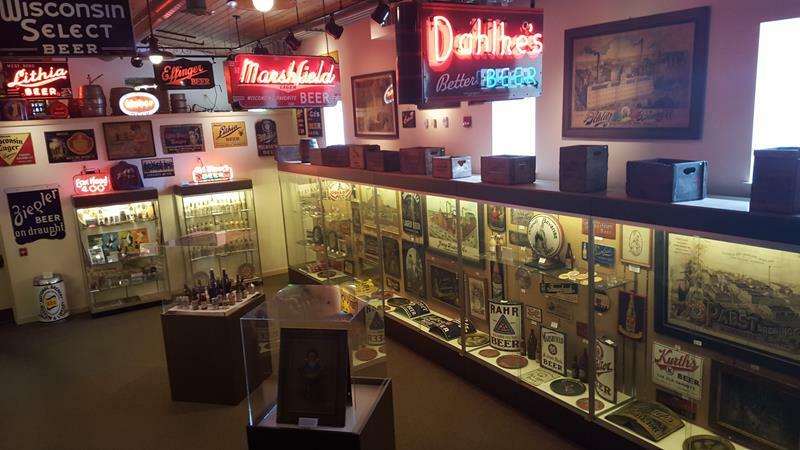 An awesome array of signs, cans, bottles, and accoutrement from beer brands and breweries from across the nation can be viewed and admired at the National Brewery Museum in Potosi. The ABA National Brewery Museum is open Monday – Saturday 11am – 9pm; Sundays from 9am – 6pm. 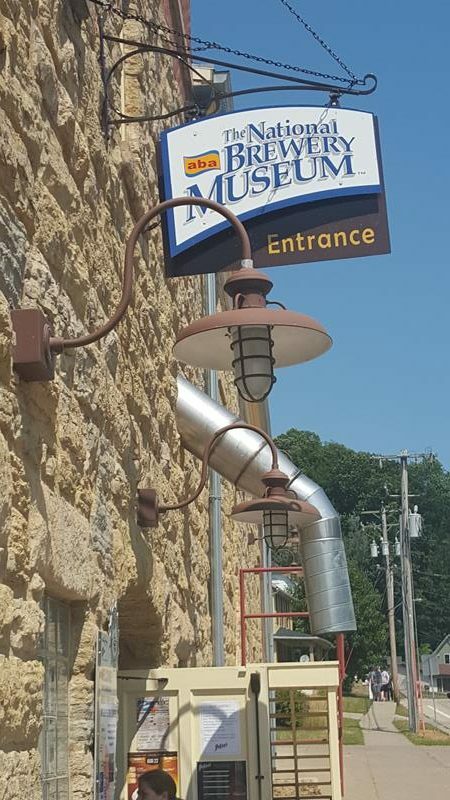 Admission is $5, or you can opt for the “all-inclusive” with includes museum admission and a brewery tour, complete with beer samples out of your own Potosi pint glass for $13. Call (608) 763-4002 for more info. 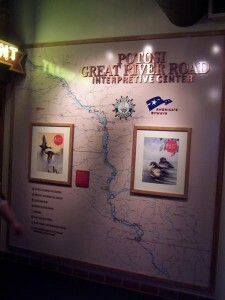 Potosi Brewing Company serves as a major stop along the Great River Road. The Interpretative Center is part of a network of 70+ museums and historic sites that offer information, maps and guides for the road. 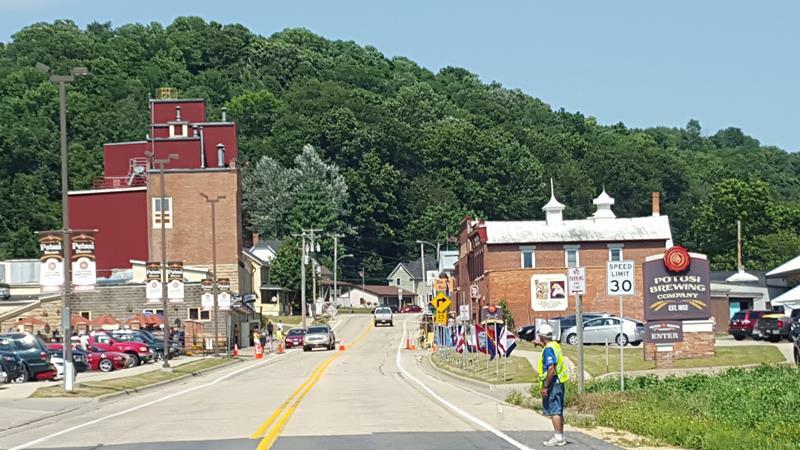 The Great River Road is usually Highway 35 in Wisconsin but in this corner of Wisconsin follows Highway 133 through the heart of Potosi and over to Cassville, where the Great River Road follows county highways until it reunites with Highway 35 closer to Prairie du Chien. Since we’re talking transportation with both the Great River Road and the State Trunk Tour in general, we definitely want to recommend the Potosi Brewery Transportation Museum, which is on the ground floor of the main building right as you enter. Not to be confused with the National Brewery Museum upstairs, the Potosi Brewery Transportation Museum offers a cool and unique look at not only the brewery’s history, advertisements, and packaging, but how all those beer ingredients were sourced and got to the brewery and how all the completed brewers were transported over the years to thirsty customers. Everything from horse-drawn wagon to steamboat and train to truck is showcased. Traveling sales representatives would sell Potosi beer to a vairety of accounts, and often brought specials and swag with them. 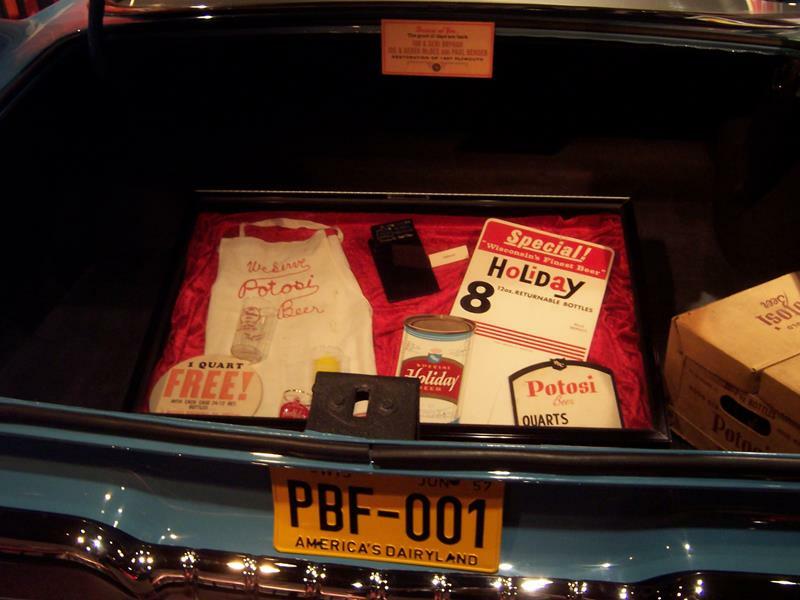 Here’s a sample of some from the 1950s – out of the trunk of their cars. The restaurant at Potosi Brewing offers lunch and dinner with a great menu, offering pairing suggestions with the different beers they make. On your way in, you step right over a glass bottom showing some of the fresh spring water that comes down from the hills and bluffs that surround the town; this is the beer Potosi brews with.